Fighters are military aircraft designed to attack and destroy other aircraft, and bombers are designed to drop bombs on enemy targets from the air. Together they make up the major components of air combat: defending national airspace, going on hazardous missions and even flying around the world without refuelling. Since the outbreak of World War I in 1914, fighters and bombers have evolved into many specialized designs, and many have played pivotal roles in world history. 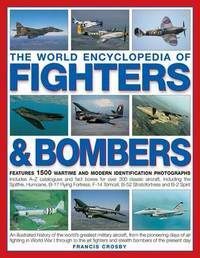 This authoritative volume is divided into two main sections covering fighters and bombers. Each traces the development of the aircraft from their first appearance, details their role in major conflicts around the world, and analyses how technological improvements have affected their performance. Special feature topics include nightfighters, bombers of the Spanish Civil War, the first jet v jet combat in Korea, Cold War bombers, inflight refuelling, the Gulf Wars and fighter pilot equipment in the 21st century. Within each section are comprehensive A-Z directories, together covering a total of 300 aircraft, each accompanied by identification photographs. From the very early days of flight, when fighters were made of wood and bombers dropped their bombs by hand over the side of the aircraft, to the cutting-edge supersonic aircraft of today, all the major types are featured. The directories are illustrated with both wartime and museum photographs of truly classic fighters and bombers, such as the P-51 Mustang and B-29 Superfortress, as well as state-of-the-art modern examples, such as the Tornado and F-117A Nighthawk. Detailed specification boxes are featured for every aircraft listed. These contain up-to-date information, including country of origin, first flight, power, armament, size, weights and performance. A glossary containing definitions of key aviation terms is included at the back of the book. 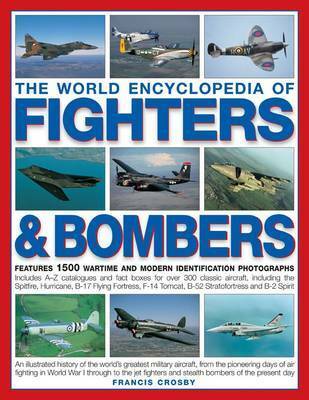 This unique volume, illustrated with over 1200 colour and black-and-white photographs, is aimed at both enthusiasts and historians alike, bringing together in one volume all the most significant fighters and bombers that have played important roles in flying history. In 1985 Francis Crosby joined the Imperial War Museum's branch at Duxford, England, acknowledged as one of the world's leading centres for aviation enthusiasts. Having held research and exhibition posts at the museum, he now heads Duxford's Marketing Department. His published works include: Images of War: D-Day (Pen and Sword); and Images of War: The Luftwaffe in World War II (Pen and Sword).